Send a Spirit of Wood Gift Voucher by Email, the voucher can be used in our store or online. 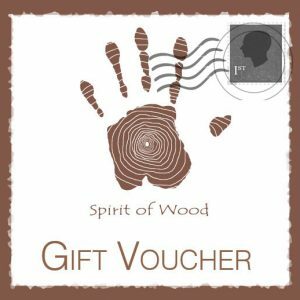 When you want to gift that special someone just what they’re looking for, Spirit of Wood Gift Vouchers are the perfect gifting solution. Be it Christmas gifts, birthday presents, wedding gifts or for so many reasons. Spirit of Wood has a large range of Giftware, Home Accessories and Furniture to suit all values of Gift Voucher.